A Medieval castle is always filled with history and provides an interesting window into the past of a location. Antimachia Castle or Castle of the Knights dates back to the 14th century, and has a remarkable history. Although it is less known than the Neratzia Castle, the story behind it is exciting . It was used by the Knights of Saint John, where due to it’s position, in the island’s center, enabled them to enhance the defensive capacity of the isle. The construction of this medieval castle started in the 14th century by the Order of the Knights of Saint John but works were intensified in the end of the 15th century, that can be seen by the inscription above the main gate with the date 1494. 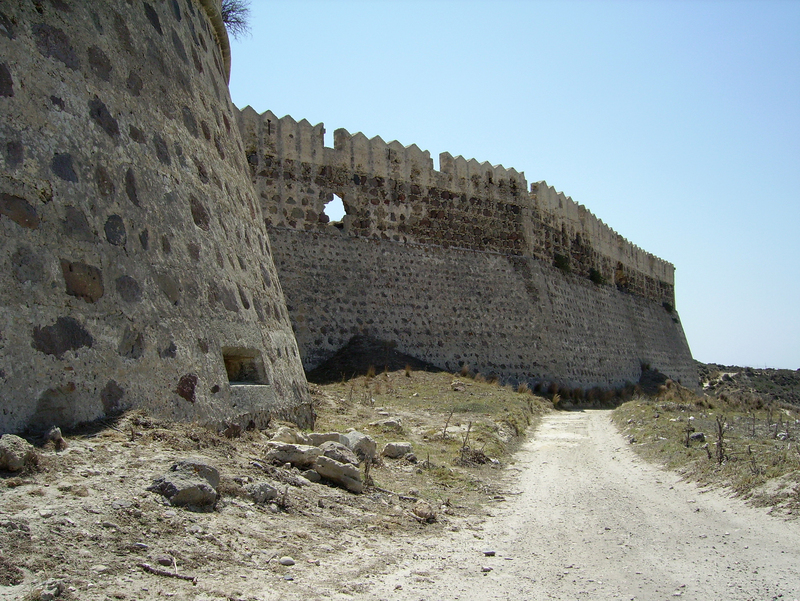 This is believed to be the period when the construction of this famous medieval Castle in Kos commenced. The external walls of the Castle are very well maintained till today, although they have suffered numerous attacks throughout the course of time. There is only one entrance to the Castle that is found in the northern part of the building and it is protected by double gates. Above the entrance, there is the coat of arms of the Knights engraved in marble. Inside the Castle, the only monuments to see are those of two Venetian churches, the church of Agios Nikolaos dated from the 16th century and the church of Agia Paraskevi, built in the early 18th century. From this particular medieval castle, you can see magnificent views of the sea and watch mesmerizing sunsets.